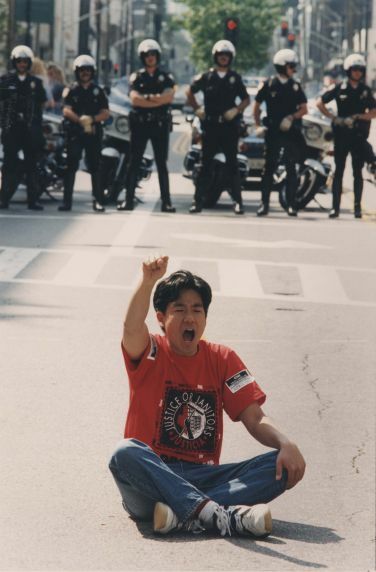 Local 399 J4J LA master agreement demonstration at Wilshire and Rodeo Drives, 1995. Demonstrators participate in civil disobedience in support of contract negotiations during the Justice for Janitors campaign. Wilshire and Rodeo Drives, Los Angeles, California, 1995.